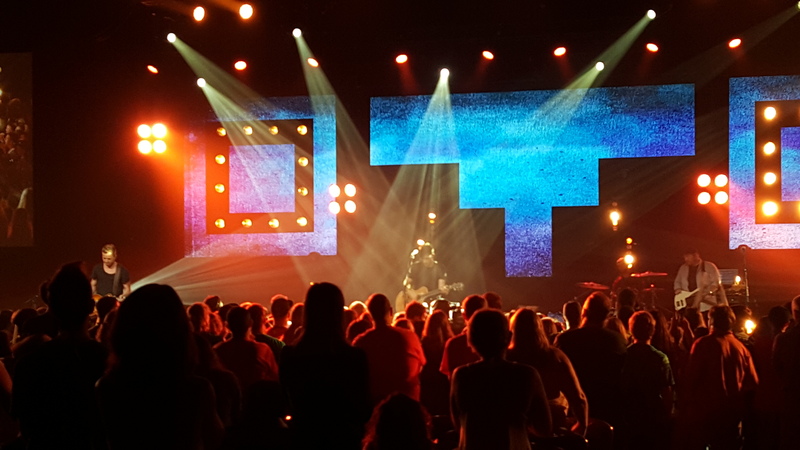 More than 4,500 youth and adult workers with youth participated in Youth 2015 held June 24-27 in Orlando, Fla. at the Marriott World Center—370 of those youth hailed from the Louisiana Annual Conference. Youth 2015 began with worship on Wednesday night with a message from Rev. Mike Slaughter from Ginghamsburg UMC in Ohio. Mike’s talk focused on the fact that we are called by God to help others who are in need. His church has been supporting the people of Darfur, Sudan. His talk really put emphasis on how God can use something small to make a big influence in the world. The next night at worship, Rev. Telley Gadson spoke and she seemed to ignite the youth that night. Rev. Gadson is from South Carolina, and she says that her church is on fire for God (that being its location is next to the fire department and has the street number address of 911). Her main message was love. 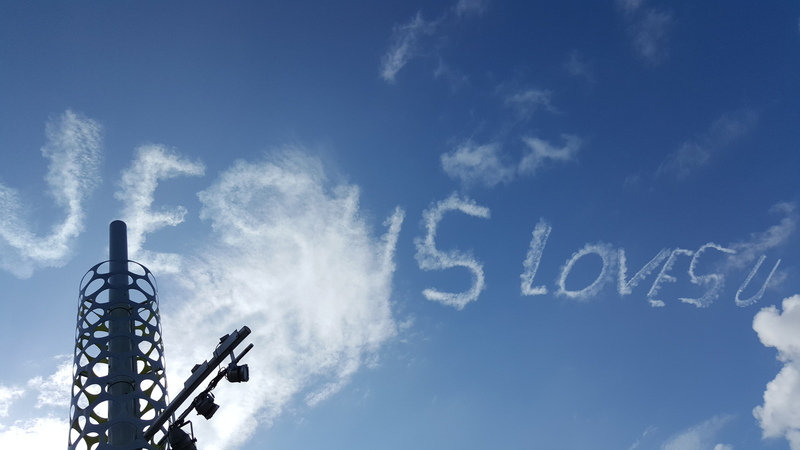 In the wake of losing some close friends in the recent church shooting in South Carolina, Telley expressed that even though we will get upset about certain things in life, we have to love everyone, including those who have hurt us. She stressed the fact that love is stronger than hate. We have to bring love to the front of our lives because that is the way that God wants us to live, even in the midst of all the hate and anger in the world today. This night was also special because we were able to experience Communion with more than 4,500 hundred people. It was very impactful that everyone was partaking in receiving Jesus’ body and blood. The next night featured both Taylor Thomas and Cedric Bridgeworth. They both spoke on faith and how it relates to the world around us. Rev. Bridgeworth spoke on how sometimes we can be consumed with stuff, mountains of stuff! He said we cannot dwell on that, but that our focus needs to be on God because He has a plan for us. Taylor spoke about her relationship with God, hearing her call and the challenge she faced during her response to that call. Next Hannah Foust, a 13-year-old, spoke about hearing God’s call to help the people of Burkina Faso. She heard about the problems with the water situation and started to raise money to fund clean water for the people of Burkina Faso. After hearing these words, everyone was invited to participate in a baptism renewal. Every morning, Sam Yun led a Bible Study, preaching on faith, communion and baptism. These bible studies set the mood of the day and served as catalysts for the small group discussions later in the day. The small group time focused on Acts of Piety and Acts of Mercy. There were also several service opportunities during the conference, such as a stuffed animal drive, meal packaging and potato gleaning. After the morning bible studies/devotions, the youth were given the chance to attend different workshops about various topics. These workshops were geared toward the youth and allowed them to further explore their interest, assist in discerning a call, and provide help and coping mechanisms for dealing with stresses that may come or are in their lives. "When I first heard that my church was going to Youth 2015, I could help but remember my time at Youth 2011. Then, I had a blast, and I couldn't wait for a new, similar experience. The first breathtaking thing was the campus of the Marriott World Center. It was huge with tons of kids running around ready to worship God. That was a memory I can never forget. That night, the worship began! The Wayne Kerr Band was fantastic. It was more than a worship service, it was a party. A party for Jesus. Every night was the same in that sense. To make it even better, the speakers each night only got better. People were on their feet practically halfway through the sermon was over. The next day the workshops began, and I believe that if those who went to Y15 picked the right workshops for themselves, they got a lot out of it. I went to one workshop which taught participants the Methodist opinion on contemporary issues such as gun rights and abortion. It was a mini-Annual Conference for youths around the world. Although all of the above made my experience of Youth 2015 fantastic, my favorite part was the prayer room. That really put the cherry on top and improved my relationship with God. I had peace and quiet to pray and talk to The Lord. That made everything calm during such a fun time. Overall, I grew in my relationships with not only the people from church and from around the state, but also God. I had a blast jamming for Jesus with around 4,000 people from across the world. It was a humbling experience!"